galstudio: Kamut/Flax Bread for Roubaix Sunday. Kamut/Flax Bread for Roubaix Sunday. Our friend, Duane, gave us a supply of organic kamut grain and I decided use it in my bread recipe. 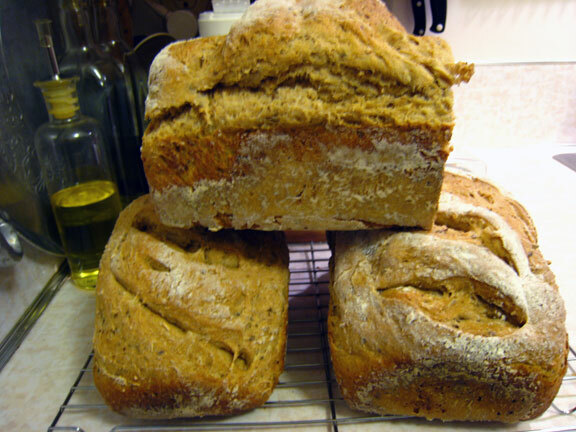 Kamut is higher in potassium and protein over wheat flour and I added flax seeds to further fortify it. I made it so Richard and I can enjoy toast with plenty of coffee for Sunday's early wake up call (5 AM) for the Paris-Roubaix classic race! 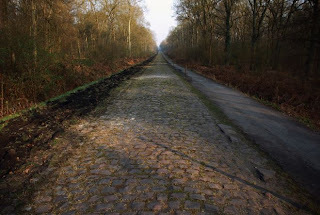 The famous Arenberg Forest quietly waits! I speak with my hands, here is my philosophy: "To create is to live!" CHECK OUT OUR EXCELLENT HANDMADE CYCLING CAPS! The story of my Singer Fashion Mate 257! On the board today, bookbinding & breadmaking. Backstage Pass: GP Quebéc - Backstage Pass this time at the GP Quebéc - anchored by Matt Goss the Orica GreenEDGE boys do battle with Peter Sagan. As always highly entertaining!